Is a brewery changing the formula of a popular beer a common situation? Basically, I’ve been drinking (and loving) IPAs for years, but I keep running into the same problem—I find a beer I like, drink it religiously for a year or two, when I start to feel like the taste changes. I know there’s some level of familiarity happening, and I’m sure with hoppy beers it might be more intense, but I feel like there’s more to it than that. My tastes in other things don’t seem to change as much—I’m still eating the same food I did in high school and enjoying it! My example is Dale’s Pale Ale. It was my favorite when it was hard to find, but as soon as it got ubiquitous I just didn’t (don’t) like it anymore. Thanks for your great question. I reached out to a few brewers—including the Oskar Blues brewer responsible for your beloved Dale’s Pale Ale—to ask how often they change or tweak their recipes. But before we get into why and how often brewers change recipes, let’s also address the psychological aspect of your question. Yes, breweries change recipes. But our palates also evolve over time as new experiences shift our perceptions. Maybe you once thought a cup of jalapeno-topped chili was spicy—until you tried a ghost pepper. IPAs that tasted boldly citrusy and fruity to customers a decade ago, for example, might seem less vibrant today, given the profusion of more tropical and fragrant hop varieties released for commercial use over the past few years. And that’s to say nothing of the mystique that rarity confers on a beer. Psychology aside, beer recipes themselves do fluctuate. Remember that beer uses two agricultural products—malted barley and hops—which are variable from year to year, season to season. With changes in weather, those ingredients can be markedly different from one harvest to the next, much to brewers’ chagrin. I heard that from every brewer I spoke to: Sometimes, tweaking a recipe is necessary to achieve consistency. It might sound paradoxical, but making small adjustments to account for changes in ingredients actually produces a more uniform product from year to year. Hops especially can vary from one annual harvest to the next, which makes your beloved IPAs tricky. If a brewery uses only one type of hop in an IPA, and that hop’s characteristics change from one year to the next, it could absolutely impact the beer’s flavor. Tim Matthewss, brewmaster for Oskar Blues in Longmont, Colorado, uses the example of the Centennial hop crop around 2010 and 2011. There was a shortage of Centennial hops at that time—owing to weather and demand—and the available Centennial hops weren’t consistently of the quality the brewery wanted. So Oskar Blues decided to replace Centennial in certain beers with a blend of Cascade and Columbus hops that would create similar flavor and bitterness. As technology or ingredients improve, brewers are able to get closer to their goal of what they want a beer to ideally be. 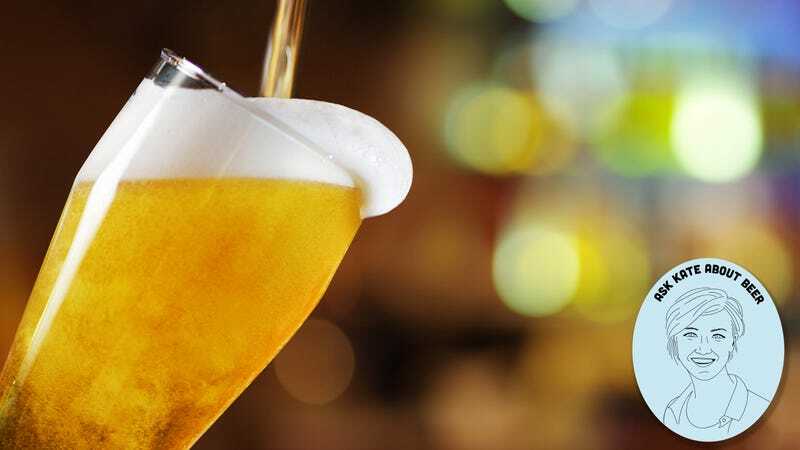 Quality-control and analytics equipment have become more sophisticated in recent years; canning technology is much better than it was a decade ago; and brewing chemists are continually making advances in understanding how ingredients like yeast and hops interact. Matthews says any differences in flavor you experienced within the past few years are likely a result of improved canning technology that’s resulted in less oxidation in Dale’s Pale Ale. If you preferred the former version, well, maybe you like a little oxidized flavor in your pale ale. Aside from tweaks to improve consistency or quality, there’s of course one further reasons breweries might change a recipe: consumer demands. What beer drinkers expect from beers today is not what they expected from beers 15 years ago. Long-standing breweries sometimes switch up aspects of a beloved beer to better meet what customers want out of a particular beer in 2019. Victory Brewing’s Ron Barchet (left) and Bill Covaleski, with Prima Pils in hand. The poster child for this might be Victory Brewing’s Prima Pils, the brewery’s flagship German pilsner first brewed in 1996. Though it’s one of Victory’s most respected beers, the company recently found Prima sales had dropped two years in a row. It was time for a change. Barchet noticed that he wasn’t able to drink the same quantity of Prima as he used to—by the third beer, his palate felt a little tired. He and the brewing team decided that dropping the beer’s bitterness level ever so slightly—from 5o bitterness units to about 45—might do the trick. Victory’s brewers also changed their process to incorporate Prima’s hops at a different point in the brewing process—almost entirely in the hopback rather than the brew kettle—which gives the beer more hop aroma with less hop bitterness. But there will be no massive announcement of the change, no “New Recipe!” label splashed across six-packs. Victory isn’t trying to hide the change, Barchet says, but they’re also not trying to scare away long-time Prima Pils drinkers. It’s a delicate, calculated risk to take with a venerated beer: in making changes that aim to improve the recipe, there’s a chance some of its steady customers might now like the change. Barchet, for his part, is confident in the new Prima, and he says that as a long-time fan himself.